A Star Is Born is one of the more hard-to-resist stories in Hollywood, having now reached its fourth (yes, you read that correctly) remake, including editions in 1937, 1954, 1976 (which featured Barbara Streisand), and now again in 2018. Despite the hype, it works. 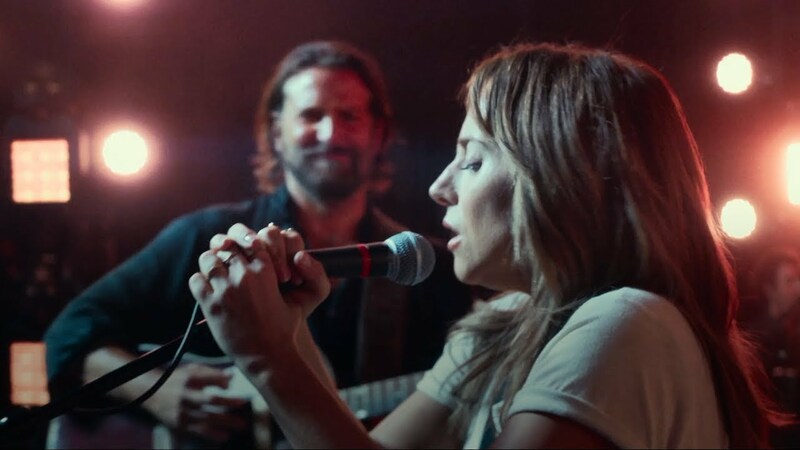 A Star Is Born takes an old, familiar, formulaic plot, and gives it a new spin – a new cover of an old song, and like so many covers over the years, this one could prove to be the most popular one of all. If you’re having trouble understanding that concept then give ‘Hurt’ by Nine Inch Nails a listen, and then give Johnny Cash’s newer take a go as well. Beginning with mega-rock star Jackson Maine (Bradley Cooper), the story kicks off with Jack meeting young Ally (Lady Gaga) in a bar, where she is performing ‘La Vie En Rose’, and she instantly captivates him. This launches their relationship, both personally and professionally, almost instantly, catapulting her to stardom, while Jack navigates his own musical career – which also comes with some personal demons of his own. The music is bone-chillingly good, from Maine rocking out on stage to begin the film (seriously, I would buy a Jackson Maine album), to Ally’s power ballads and pop tunes. Bradley Cooper turns in the performance of his career, even dropping his voice an octave or two to match that of Sam Elliott (perhaps most instantly recognizable as the voice of Coors and RAM commercials), who plays Jack’s manager/brother, Bobby. However, the true standout of the film is Lady Gaga, bar none. While it feels strange to call this a breakout performance considering that Gaga is one of the most famous musicians in the world, she is the film’s emotional soul. She gives a powerful, haunting performance of a woman who adapts to change far more adeptly than most, both in her personal and professional life. This film is a deft portrayal of addiction, and how that disease destroys relationships, families, even one’s own self, all the while still taking a look at love in a way that feels real. Perhaps the most amazing part is that this is Cooper’s directorial debut – he does it all with a fairly light hand, not doing anything overly complicated, and generally shows some nice restraint (even if there are perhaps a few too many lens flares). It’s not without flaws as the first hour moves so fluidly that the latter half is bogged down and makes the film feel uneven, which makes the drama seem manufactured. For example, the choice to make Lady Gaga’s Ally shift from singing power rock ballads to redheaded pop idol is a strange one. Perhaps it made sense from a production standpoint considering Gaga’s real life musical background, but it was somewhat jarring to take Ally completely away from what made her famous in the first place. The film also wraps up with a grand finale – something that feels impersonal given the look the audience has been granted into the life of Jack and Ally – but Cooper shifts the stage on us at the last moment, and manages to end on a high note. Ultimately, A Star Is Born seems destined to be recognized on the highest awards stages, in acting, directing, and music. While it remains to be seen if the buzz lasts through to February, it’s a deeply entertaining, soulful take, even if it’s a remake. Go see it in theatres if you can. It’s worth it. A Star is Born arrives in North American theatres on October 5, 2018. You can find our star, Sho, on Twitter at @SNSAlli if you wanna chat movies. Or just chat in general. Exchanging words is cool, right?